I recently attended the Bet Show 2016 at the Excel Exhibition Centre in London. This event is primarily focused on the education sector such as schools, colleges and other learning organisations. Here exhibitors have the opportunity to demonstrate their products or services in the hope that they get signed up as the next big thing when it comes to training and learning. 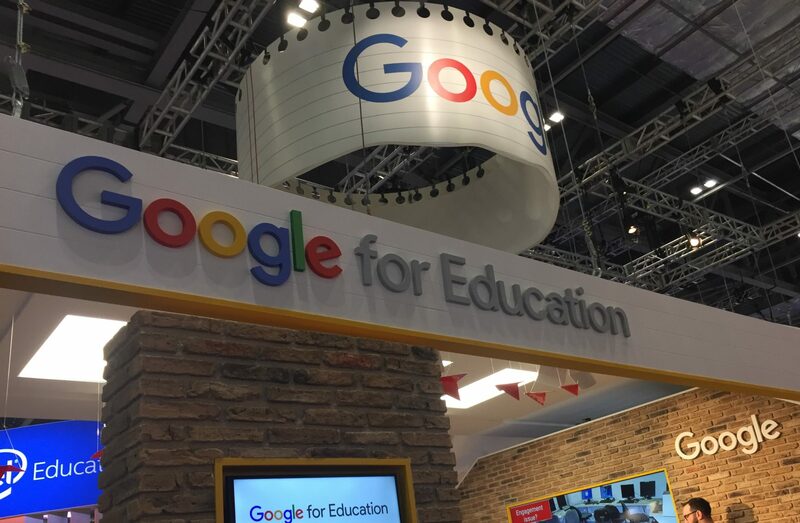 I was very impressed with a lot of the innovative learning technology on offer by some of the exhibitors. For a start, none of this technology was available when I was at school. I experimented with various interactive products such as huge touch screen displays that allowed users to plays and learn at the same time. Others included projectors, colourful floor mats and various other ways to make learning much for fun for children. One piece of technology that really caught my eye was Google Cardboard by Google for Education. 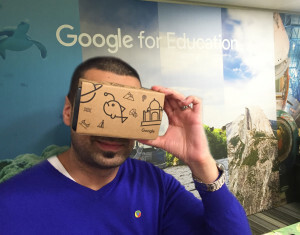 So what is Google Cardboard? 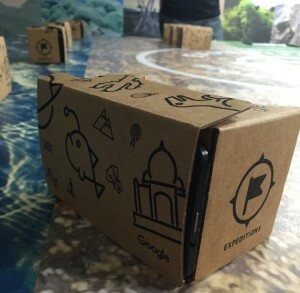 Google Cardboard is a virtual reality (VR) and augmented reality (AR) platform developed by Google for use with a head mount for a mobile phone. I felt privileged to get invited to one of their demo labs and try it out for myself! I saw down around a table with a few others as though we were in a small class room. Each of us were presented with a small cardboard box which was fitted with two lens and inside it was an android smart phone. The box was assembled in a way so it fitted nicely on my nose allowing me to see through the lens, which projected onto the screen from the phone. The instructor was able to monitor our devices from the other end of the class room because he had control from a router type device. He played a series of different virtual reality types of scenes such as staring into space, climbing mountains and even inside the palace. Where ever I turned my head the view would adjust accordingly as though I was actually there. The experience seemed so real and lifelike. The clever part was that the instructor was able to see what each of us were looking at through the devices and display it on the main screen via a projector. At times he would pause everyones screens and draw arrows that would appear in our view finder so that we all were focusing on the same subject. In my personal opinion, this technology is a start of great things to happens in terms of learning using Virtual Reality!